To mark Canada's 150 years post-Confederation, the Scotiabank CONTACT Photography Festival has trained its lens on the country itself. The largest festival of its kind in the world, CONTACT explores a sweeping array of subjects including migration, race, landscape and the environment through the perspectives of photographers and curators exhibiting in 200 spaces, both traditional and unconventional, around Toronto. "To try and portray Canada in a singular event was impossible," said Bonnie Rubenstein, artistic director of the free festival. Instead, CONTACT's Focus on Canada shows Canadians "a slice of what we are," she said. The opportunity to examine that slice comes at a time of heightened rhetoric at home and abroad on topics such as nationalism, discrimination and inclusion. The experiences of marginalized people and the concept of reconciliation, in the wake of the Truth and Reconciliation Commission, are among the many angles taken by the 1,500 mostly Canadian photographers featured. This is also, of course, the era in which "almost everyone takes photos," Ms. Rubenstein noted. Viewing them is a reminder that "much of photography's great strength is that it can be so accessible to so many people," and gives the viewer "relatability and the ability to put yourself in the picture." The 21st annual CONTACT festival, which opened officially at Ryerson University's Image Centre on April 28, runs for the month of May, with many shows extending into the spring and summer. Venues range from the Art Gallery of Ontario, the Royal Ontario Museum and Ryerson University, to the St. Lawrence Market and St. Patrick subway station. Reaching past its Toronto home, CONTACT partners annually with Pattison Outdoor Advertising to place 26 additional images on billboards in eight Canadian cities. Shelley Niro, Public Installation: Ryerson Flower Bed. Gould St and Bond. Shelley Niro, Sullivan Campaign, 2014. Seth Fluker's Blueberry Hill works are exhibited on Pattison billboards across the country, offering a personal take on the Canadian landscape that sometimes mirrors and sometimes contrasts with its surroundings. In Battlefields of My Ancestors, Shelley Niro uses large signboards to note military sites connected to her Mohawk ancestry, reminding the viewer that there is often an undocumented legacy associated with unassuming landscapes. Souvenir, at Ryerson Image Centre, shows archival National Film Board footage that has been reinterpreted and recut by Jeff Barnaby, Michelle Latimer, Kent Monkman and Caroline Monnet, speaking to Indigenous identity and representation. In a complementary vein, What does one do with such a clairvoyant image? by Dana Claxton, Stephanie Comilang, Kapwani Kiwanga, Dylan Miner, Martine Syms and Tania Willard, examines the role that images play in history, imagination and reconciliation. It's All Happening So Fast: A Counter-History of the Modern Canadian Environment, a group exhibit at the Art Museum at the University of Toronto, examines through contemporary and archival photography how we have changed our environment via engineering, commercial and military projects. Andrew Blake McGill's Two Half-Hitches Could Hold the Devil Himself, positioned high in the rafters of the St. Lawrence Market, reveals striking images of farm life, serving as a reminder to the viewer of the connection between land and food. The Sum of All Parts, Jalani Morgan's public installation at Metro Hall, is perhaps the festival's most politically charged. Documenting the Black Lives Matter movement in Toronto, his work captures and chronicles a contemporary movement of underrepresented voices banding together and speaking up. For Coastal, Johan Hallberg-Campbell journeyed to the far reaches of Canada's three coasts. Coastal suggests the vastness of the country and the spirit of those who inhabit these areas. From Family Camera at the Royal Ontario Museum & Art Gallery of Mississauga. 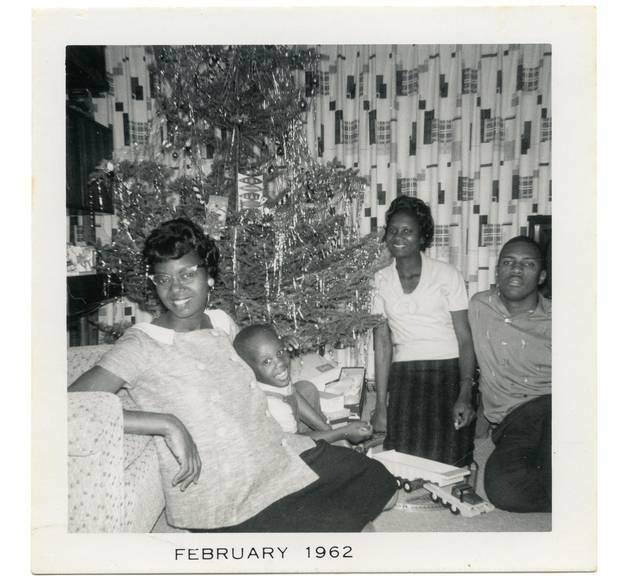 Photographer unknown; Ellen Montague and her son Christopher; her sister Ruth Brown; and her husband Spurgeon Montague beside the Christmas tree; Windsor; Ontario. The Family Camera and The Family Camera: Missing Chapters, at the Royal Ontario Museum and the Art Gallery of Mississauga respectively, bring together the theme of migration and intimate personal photographs. 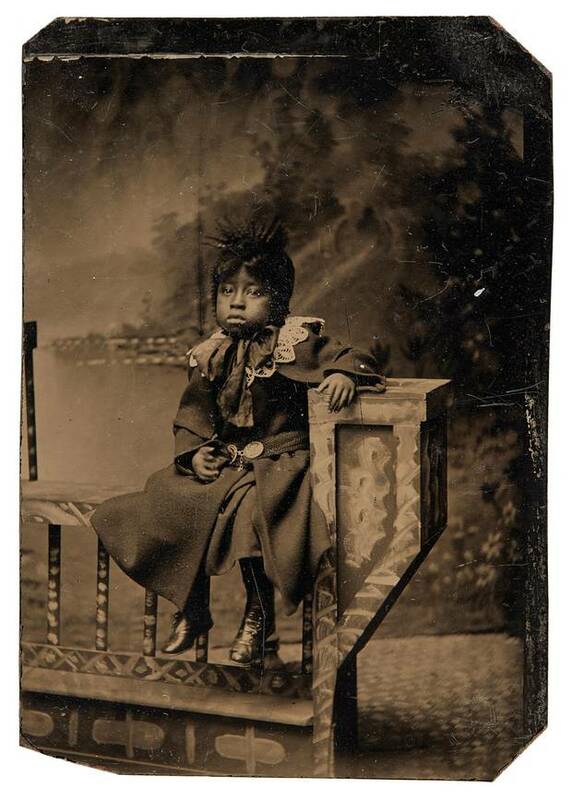 The Art Gallery of Ontario's Free Black North features archival portraits of 19th-century Black Ontarians who were descendants of refugees who escaped slavery in the United States, and shows how photography was used to document both their presence and their individuality. From the exhibition Free Black North at the Art Gallery of Ontario. Unknown photographer, Unhappy girl, 1870-1880. Richard Bell Family Fonds, Brock University Archives. Courtesy of Brock University archives. Michael Snow's Newfoundlandings, at Prefix Institute of Contemporary Art, looks to the past to provide a complex historical example of how Canadian identity and nationhood have evolved and likely will continue to do. Max Dean's As Yet Untitled, presented at the Ryerson Image Centre, speaks not only to the current state of bountiful imagery, but how we choose what images have value, who chooses history and how subjective the process is.